I have never tried any carbonated mask all the while. So this time I have decided to give it a go. Recently, I have seen many reviews on this carbonated mask and it seems that the bubbles created by this mask is able to help to exfoliate dead skin cells and unclog pores while delivering the nutrients deep into our skin. Besides, it is also believed to help fight against future pore clogging as it tighten pores too. Whether this is only a fun gimmick or not we will find out in a while. First off, I kinda like the fragrance of this mask. It has a very refreshing scent. The texture of the mask is pretty thick, sticky and goopy when you smear over your skin. Within seconds of applying the mask on my face the bubbles started fizzing and creates a ticklish sensation on my skin. I left it on my face for 15 minutes to experience the full effects. My thoughts on this mask is that it isn't just a gimmick. It does leaves my skin soft and refreshed after rinsing. It is worth trying if you don't have sensitive skin or an aversion to fragrances. PO-TA-TO has always been one of my favourite food. We have been hearing myths that potatoes are carbs and consuming carbs can make me fat and unhealthy but it seems that Potatoes USA has helped me to cleared the myths. I was invited to attend a "potato" event on the 26th of August organized by Potatoes USA. at The Wembley, A St Giles Hotel, Penang. Potatoes USA is the marketing organization for the 2,500 commercial potato growers operating in the United States. An introduction speech was given by Mr William Tan, the Penang representative of Potatoes USA to officially kick start the event. Next was a speech by Mr Richard Lieu, the Trade Promotions Director of Potatoes USA. There is where I've come to know that there are over a hundred types of potatoes in USA and were divided into 7 categories such as Russets, White, Round Red, Yellow Flesh, Blue Purple, Fingerling and Petite. Each of these different types of potatoes comes in different shapes and has different textures as well. Followed by a presentation by Ms Khoo An Jo, a practising dietitian for more than 15 years to debunk us on the myths of potatoes. And now, its the session which everyone that has been waiting for. 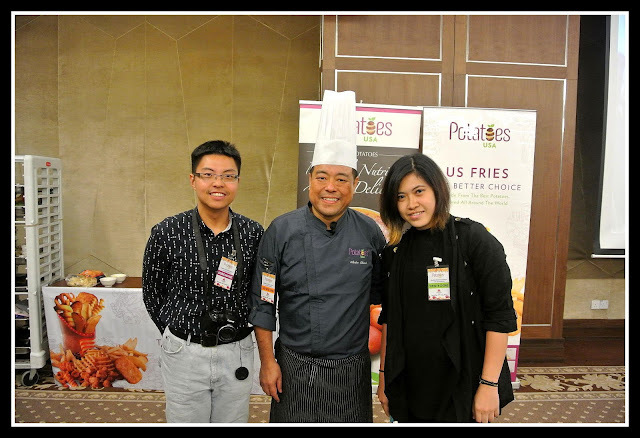 A cooking demo by Chef Audee Cheah, PKT, PJK the president of Penang Chef Association. He also shared with us 4 simple recipes by using US Russet Potatoes. It was indeed a privilege to be invited to attend this event with great experience in expanding more knowledge on potatoes. Thanks again for inviting us over for this event. 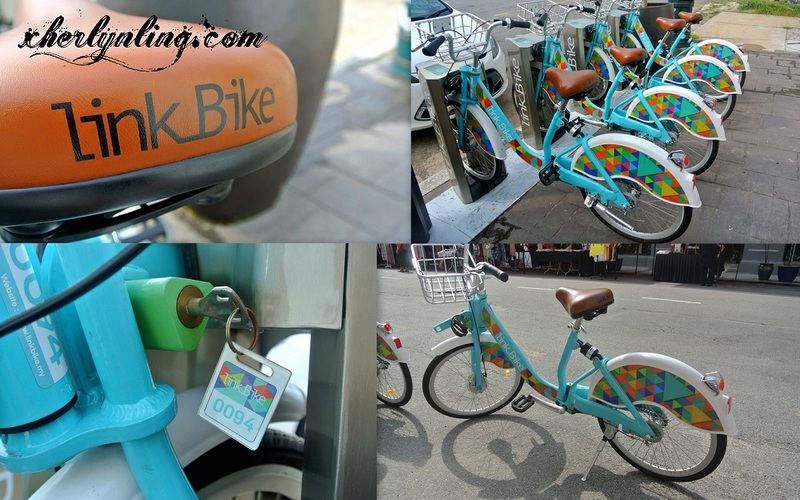 LinkBike is an initiative supported by the Penang Island City Council (MBPP) to make Penang a cycling-friendly city. Operated by FAST RENT BIKE (PG) Sdn Bhd and has set up 25 strategic location within Penang Island from Straits Quay down to Queensbay. A new concept of bicycle-sharing system which allows public to connect and commute within the city of Penang as anyone can just pick up a bike from any of the 25 designated stations and return it to another station. To use LinkBike, one should first sign up here to purchase their credit. Then proceed to any docking station and scan the QR Code on the LinkBike app from your smartphone or you may just use the LinkBike card to pick up a bike. Once scanned the bike can be then taken off from the docking station and you may proceed to ride anywhere around Penang and then return it back to any LinkBike docking station available up to your own convenience and preference. to rent a LinkBike rather than purchasing your own bike. For more information, do visit LinkBike or you may contact them at +6016 5129292. This would be my second review on The Body Shop's superfood mask product range. 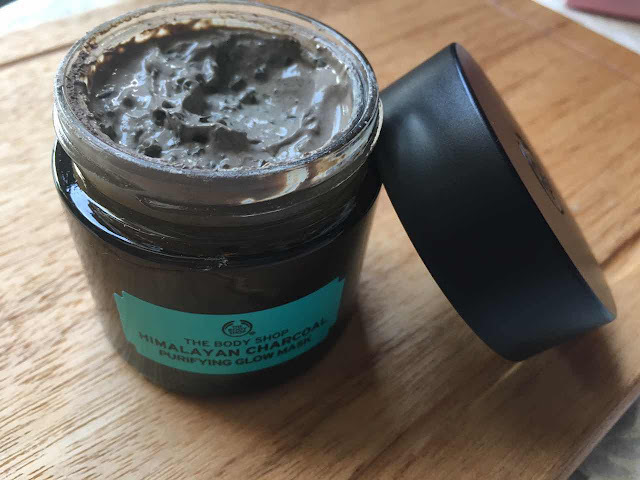 The Body Shop Himalayan Charcoal Purifying Glow mask is inspired by Ayurveda tradition which is 100% vegan and formulated without paraffin, silicon and mineral oil. The bamboo charcoal from the Himalayan foothills are famous to draw out impurities and excess oils from the skin. 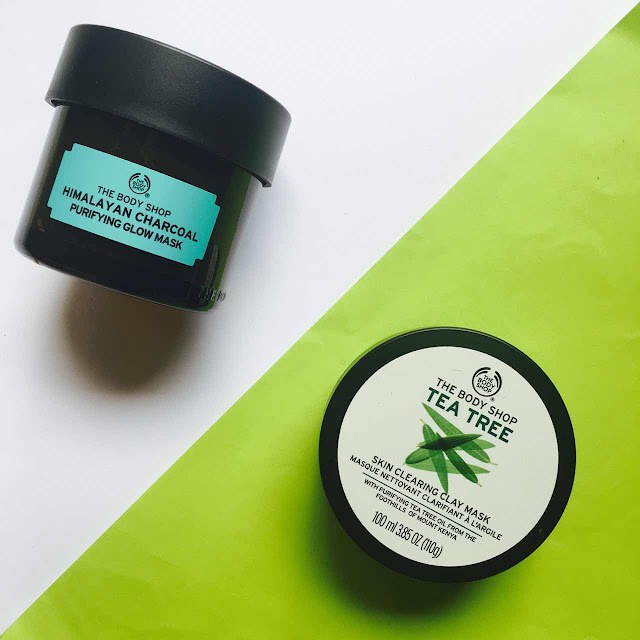 Besides, it also contains antioxidant-rich green tea leaves from Japan and catechins that helps effectively exfoliate the skin while the community trade organic tea tree oil from Kenya helps to clear the skin. Which leaving the skin deeply cleansed, purified, refined, and detoxified. How to use: Apply on freshly cleaned skin using either a brush or fingers. Then leave the mask on for 5-10 minutes. After that, use warm water to rinse them off. 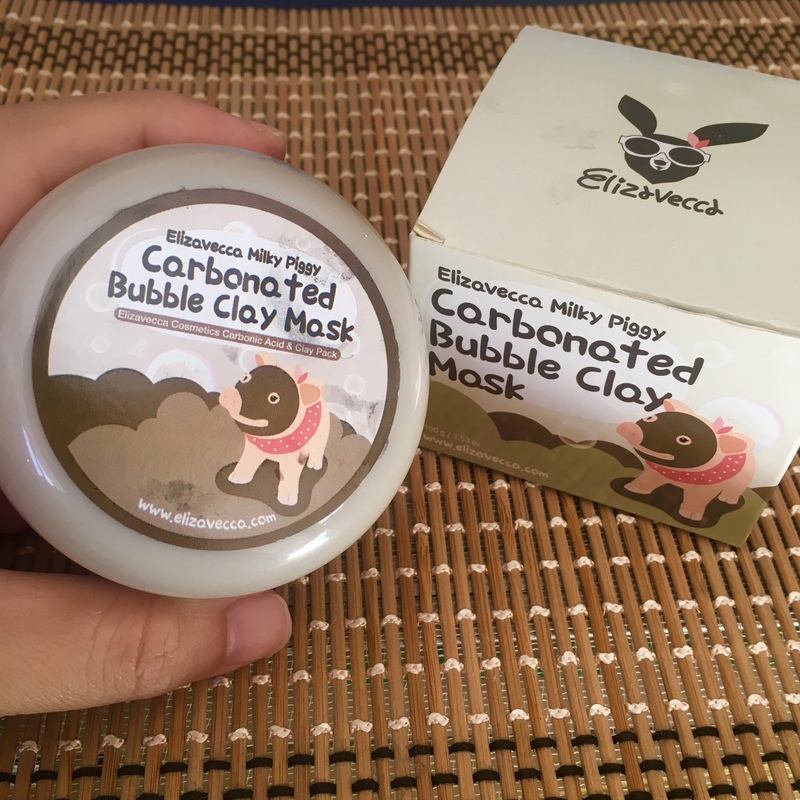 Overall, i find this mask is like a combination of clay and tea tree mask, This is a great deal for those who are searching for a mask that is great for cleansing as well as obtaining a glowing skin. Besides, this mask helps to keep my skin feeling smooth and soft through out my busy schedule day. 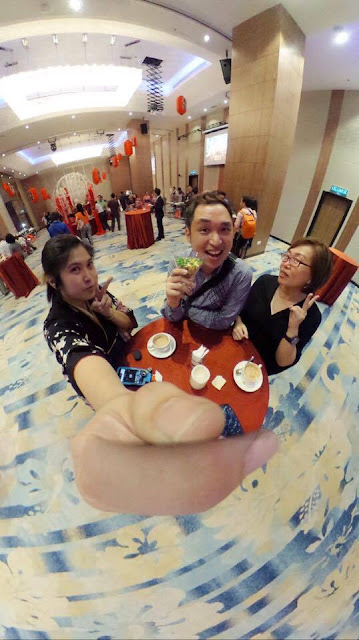 Lexis Suites Penang held their Media & Blogger Appreciation Night tonight, inviting all members from media and bloggers to gather for some dine and wine. It was indeed an honor to be invited by Lexis Suites, Penang for their Media Appreciation Night 2017 and the theme of the evening was Japanese. 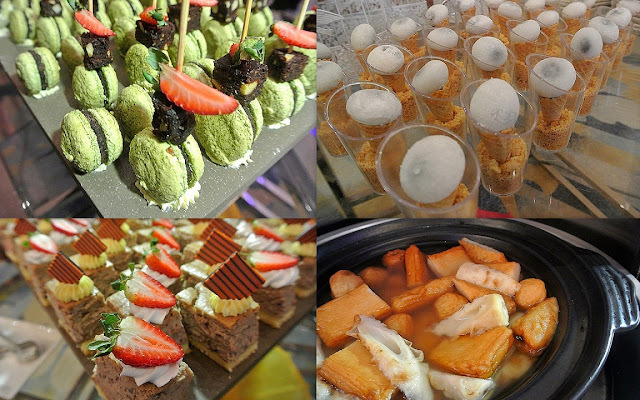 All guest were treated with a variety of Japanese food that satisfies my tummy for the night. Thank you for nominating me as Best Dress for the night. And I did won myself a lucky draw prize too. Feeling really contented. 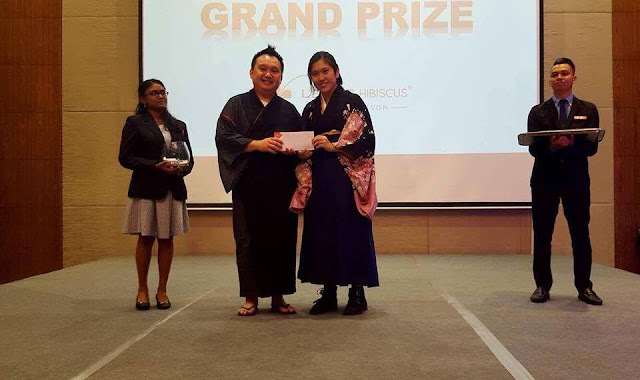 Thanks to their awesome team from Lexis Suites Penang for organizing this great event. AddressL 28, Jalan Teluk Kumbar, 11920 Bayan Lepas, Penang. Healthy living is now a "trend" among most working adults now a days. Whether it is on facebook or instagram, the entire newsfeed seems to be filled with healthy lifestyles which are currently becoming increasingly trendy. We know that honey contains antibacterial properties and it is great for acne treatment and prevention. But do you know that honey is also a great natural humectant that helps to draws moisture from the air into the skin and ensures it is retained on the skin surface. Besides, it also helps to improve skin's elasticity and prevent dryness at times when we need an intense nourishing treatment. So, if you are fretting over dull skin, I would recommend you to try Ethiopian Honey Deep Nourishing Mask for an intense dose of replenishing nourishment. How to use: Apply on freshly cleaned skin using either a brush or your fingers. Then leave the mask on for 5-10 minutes. After that, use warm water to rinse them off. Overall, for those who are looking for an intensive, hydrating mask to keep your skin quenched during winter, this mask is a great deal. This mask helps keep my skin feeling soft, smooth and plump the entire day. Especially at Lazada, Groupon, Zalora, Amazon or Foodpanda? I believe I have definitely hit some spot on on some of the sites I've mentioned above. Ever imagine getting a few bucks back for each purchase at Zalora, Groupon and so on. I believe I have definitely hit the trigger button for some of you who love to shop online like me. For that matter, this is a promise from ShopBack. 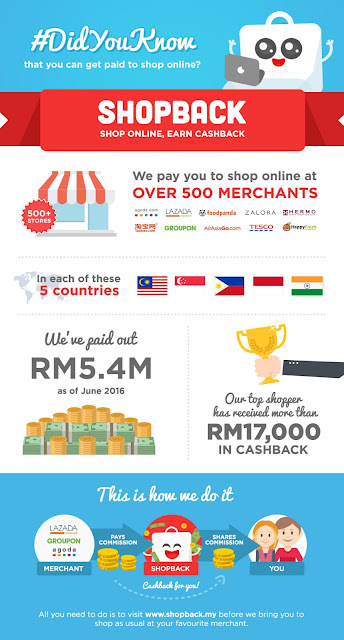 ShopBack is a cashback website that give you CASH back when you shop online. It might sound too good to be true, but this is indeed genuine. The process is easy and simple. Every successful transaction made by the shoppers from any of the online store linked in ShopBack, merchants who gains from the shopper's purchase will give a commission to ShopBack. From there, ShopBack will return a cut of the commission back to the shoppers. The best part is, cashback is also given to shoppers on top of all existing discounts and credit card rebates!! Which means we would be able to SAVE even more! Once the the cashback is available, you can proceed to retrieve them by transferring them to your own preferred local bank account. Sign up for a ShopBack account and sign in. Once done, you are able to browse through various sites from a wide selection of merchants. You are also able to search your shopping needs from various categories such as fashion, travel, food, lifestyle, skincare and many more. STEP 2:Get directed to the merchant's website. Once you have selected a store, just proceed by clicking "Shop Now" to redirected to the merchant's official website. From there, you can start shopping as usual and make your purchase at the merchant's site. Once payment is made at the merchant's site, your cashback will automatically be credited to your ShopBack account within a few days. Once redeemable, you may proceed to "cash out" via transfer to your bank account. Now with Chinese New Year just round the corner, this is definitely a perfect time to start shopping for new clothes and make-up from Sephora and Asos. Hurry get Sephora and Asos coupons now! Buy new make-up with Sephora coupons and get discounts on clothes with ASOS promo codes. Not forgetting to check out great Chinese New Year Shopping and sales too! 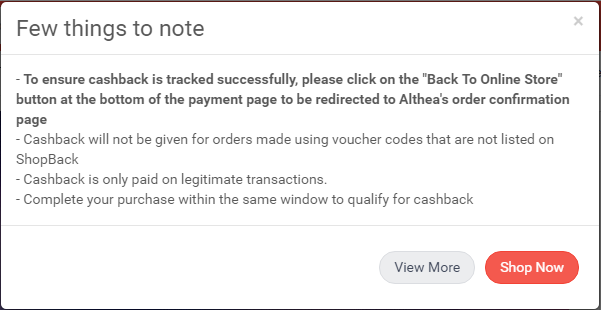 Now with this cashback reward, I think I will soon be doing some massive online shopping because, they have more than 50 merchants and my frequent purchases are mostly from eBay, Althea, Hermo, Aliexpress and Forever21! What are you waiting for? Begin your ShopBack's cashback journey now!